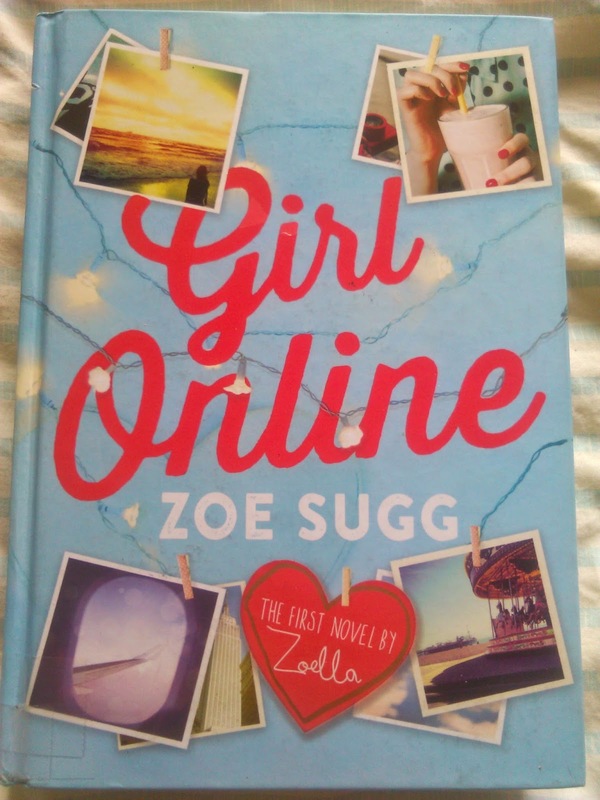 Let’s be honest, I only picked this book up because of the controversy surrounding Sugg and (her once ghost writer, now co-writer), and the fact that this is that this book broke the record for highest first week sales for a debut author since records began (according to wikipedia, don’t shoot me if that’s wrong). I feel like I only picked this up because I found it in the library, (I wasn’t going to fork out sixteen euro for a hardback I might hate), I’m really glad I did. This book is not high literature, but it is absolutely adorable. It’s the sort of book I would have loved when I was eleven or twelve, and still quite enjoyed it at age nineteen. It’s a wonderfully cute story, if a little clichéd. The relationships are probably one of the most important aspects of the book. Penny and Elliott’s relationship is definitely my favourite. It’s a proper friendship, Elliott and Penny stand by one another, bar a few minor mishaps. There’s no hidden ssexual tension between them, and they don’t end up together in the end(This is not a spoiler, we find out that Elliott is gay pretty early on). It was nice to see a platonic male-female friendship for once, but I feel it was implied that their friendship only exists because Elliott is gay, and there is no potential for romance between them. Or maybe I’m reading too far into it. Penny and Noah are adorable. He is the perfect fictional boyfriend cliché and they fall madly in love though they no nothing about each other. It’s a completely unrealistic, frosted cupcake of a relationship that made me cringe and coo in equal measure. Penny and Megan's relationship is probably the most interesting. Penny and Megan were once very close and happy being nest friends, but they have recently begun to grow apart. The interesting thing about this relationship is that most of the problems and conflict between them are caused by the fact they don't realise they should probably just let one another go. This is a really important idea to point out to young teenagers who often feel that the friends they have now are the friends we will have for life. Sugg and Curham gently point out that this is not often the case, and that it's not the end of the world if you're not best friends forever. The most important lesson to be learned from this book is that the internet is a scary place and should be treated with care. This is a really good point to drive home, particularly because of the fanbase that follows Suggs YouTube channel and the audience of this book, who probably live lives online in tandem with their real offline lives. Penny gets publicly shamed on Facebook when someone posts a video of her flashing her knickers at a school play. This is a realistic fear, if this happened to me at fifteen I would have also fled the country, maybe not now but definitely then. The video spreads like wildfire, and it’s embarrassing for a while, but it all blows over pretty quickly. Sugg teaches us that it’s not the end of the world if you go viral, which is an important lesson. Obviously Penny keeps a blog, it’s the premise of the book, and this causes her a lot of problems. Through Penny’s blog we learn that nothing on the internet is completely anonymous, and she shouldn’t post anything you wouldn’t say in front of a crowd because someone WILL find it. Sugg also deals with the idea of online hate, something she probably has experience with so I trust her on this topic. We see Penny deal with complete strangers criticising her for something that is none of their business and that they don’t even really know the full story about. I think it’s really important for young people who are just dipping their toes into the online world to see the other side of this online hate and how it can affect people. Overall this book is adorable and perfect for the target audience. The writing is sweet and simple, and I would recommend this book for young teenagers or anyone who likes sweet, fluffy YA contemporary romance.